Bud Light Buys Crested Butte, Colorado, For The Weekend, Renaming It "Whatever, USA"
For residents of Crested Butte, Colorado, it feels like beer has taken over their town. No, literally — Bud Light has transformed Crested Butte into “Whatever, USA,” complete with blue-painted streets, hot tubs, sandboxes, and a big blue gorilla to shoot an ad this weekend. For half a million dollars, Crested Butte is no longer a town: for now, it's the set of a beer commercial. Anheuser Busch, the company that owns Bud Light, has spent the last few months evaluating 400 towns in the running to become the site of their latest commercial shoot. After finally selecting Crusted Butte, a small Colorado ski town, for the commercial location, the beer company got to work remodeling Elk Avenue, the town’s central road, into a giant party scene. The company stripped the street of its former identity, replacing the signs of local stores, hotels, and restaurants with Bud Light-branded umbrellas and signs. Beyond decorating the town, Anheuser Busch plans to fly in 1,000 young adults for a weekend of unlimited drinks, music, and outdoor booze-inspired fun. Beyond those exclusive visitors, access is restricted to a select group of people, including Crested Butte locals, second homeowners, and visitors who obtain a special wristband. The whole project set Anheuser Busch back $500,000, which is what it cost to rope off the town’s main street into a beer-lover’s dream. On Thursday, Aaron Huckstep, Crested Butte’s mayor, made a statement: Crested Butte residents were “thrilled for this weekend’s events at Whatever, USA," said Huckstep. According to The New York Times, town officials accepted the beer company's request to use the town for the commercial because Crested Butte needed the revenue and jobs that the Bud Light event would bring. As you can imagine, not everyone in Crested Butte is so excited about the town’s recent transformation. After all, the main thoroughfare of their town — the town’s heart and soul, so to speak — has been rendered utterly unrecognizable. 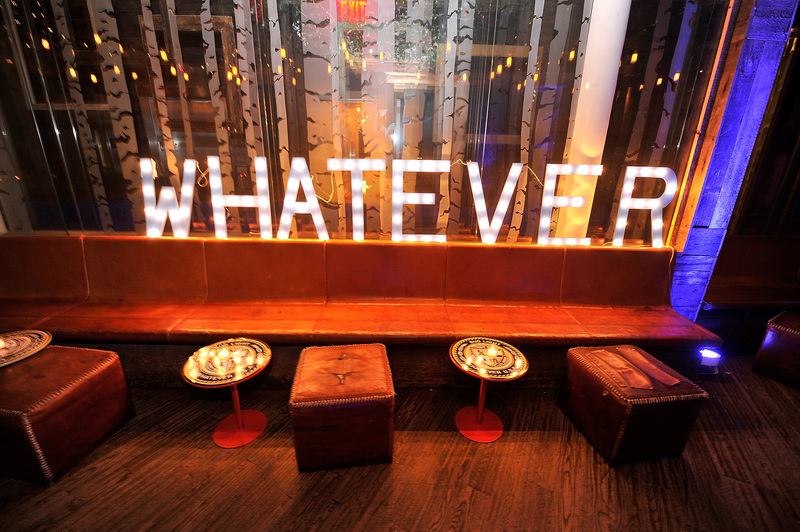 Even worse, the name of their beloved town has literally been changed to “Whatever,” even if just for the weekend. Even though a lot of Crested Butte residents are complaining, Mayor Huckstep pointed out that most of them are lining up for their wristbands to attend the weekend's festivities. And who can blame them? If your beautiful Colorado mountain town is going to be transformed into a wild and rowdy spring-break-esque party for the weekend against your will, you might as well enjoy it.